Thousands of Canadian seniors head south for the winter, and when they do, they need travel insurance that meets their unique travel needs. Get affordable snowbird travel insurance with ThinkInsure and make sure you have the coverage you need for a worry free trip, wherever you choose to travel. For seniors, their health and wellbeing is an important consideration when travelling abroad. They need travel insurance coverage that provides them with access to the same medical care and coverage they are accustomed to at home here in Canada. Through ThinkInsure, we provide you with snowbird travel insurance options that ensure you will have a happy and healthy trip. Peace Of Mind : Travel outside of Canada for extended periods of time knowing that you have access to travel assistance and emergency medical care, no matter where you nest during the winter months. 24/7 Assistance : We are here to provide you with travel insurance and trip assistance around the clock. We are ready to help, no matter what time of day. Emergency Medical Care : Get access to the health care you need, even when you are vacationing down south for the winter. Travel Insurance Options For All Seniors : Whether you need full travel insurance or want to top up your retiree or group travel insurance coverage, we can help. Compare insurance rates and coverage options from 14 top travel insurance companies. Get snowbird travel insurance today to make your trip worry free! 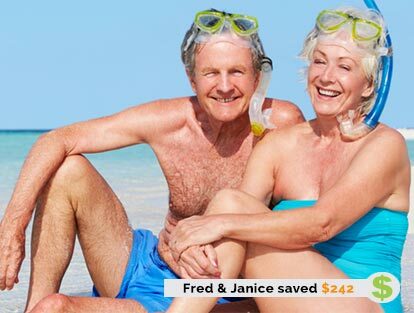 Call toll free 1-855-504-2039 or compare senior travel insurance quotes online anytime. With more than one million Canadians travelling south each winter to avoid the cold and snowy weather, snowbird travel insurance is becoming a popular and extremely important insurance product for senior travelers. Snowbirds, because they tend to travel for longer periods of time and more frequently than the average traveler, have a unique assortment of travel needs. Snowbirds tends to spend months rather than weeks outside of the country, and since they are older, have healthcare needs that require more regular attention than the average traveler. The longer you are outside of the country, the more likely an issue could arise and the more risk you are exposed to, making snowbird travel insurance a vital part of your trip planning. The good news is that most Canadian seniors are getting the message. According to the Conference Board of Canada, more than 80% of Canadians over 55 invested in some form of medical travel insurance during a previous trip. As a senior, with additional medical needs, travelling without snowbird travel insurance is a huge risk. Experiencing a slip and fall, needing to refill a prescription, or having a medical emergency could cost you thousands of dollars without the right level of travel insurance coverage. It’s always better to be safe than sorry, especially when it comes to travelling outside of your home country for an extended period of time. Having reliable travel insurance is also important for snowbirds because of how unpredictable winter travel can be. Whether you are heading south for the winter or making your return home, you never know what could derail your travel plans. Winter storms, flight delays, lost baggage, or even trip cancellations are all a possibility, and snowbird travel insurance ensures you are covered when the unpredictable happens. What Is Included With Snowbird Travel Insurance Coverage? When you choose ThinkInsure, you can travel worry free, knowing that your policy will cover you for any issues that arise when you are enjoying your vacation. Ensure you are healthy enough to travel : See your doctor to make sure you are in good health. It’s also a good idea to ensure your prescriptions are up to date and you have enough medication to cover you for your trip. Some insurers require that you provide a doctor’s note for your travel insurance. Get a copy of your medical records : Always travel with a copy of your medical records, prescription and other medical documents to ensure you have everything you need. Research travel allowances : Make sure you are clear as to how long you are permitted to travel outside of your home province without putting your healthcare eligibility in jeopardy. Check visa and travel requirements : Make sure you have the proper travel documents and meet all visa requirements (if required). Organize your finances : It’s important to get your finances in order not only for your trip, but also to cover any bills, mortgage payments and other expenses at home while you are away. Research your vacation destination : Take some time before leaving to research your destination and familiarize yourself with the area. Know the local emergency phone numbers, and locate the nearest hospital, police station, and other important locations. Arrange for someone to care for your home : If you are planning to be away from home for an extended period of time, it’s a good idea to have someone care for your home, pick up the mail, water the plants and check in on your home from time to time. Read your policy thoroughly before departing. If required, fill out your medical questionnaire accurately. Be clear on coverage exclusions for pre-existing medical conditions. Consider an annual policy if you travel frequently. Shop around to ensure you get the best rates. 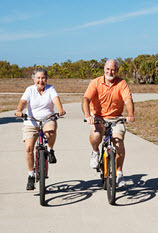 Choose a seniors or snowbird policy over a more traditional travel insurance policy. Get clarification on any policy elements that are unclear. Always keep a copy of your policy with you when travelling. Ready to head south for the winter? 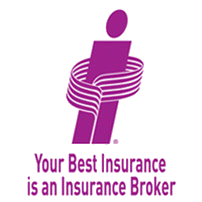 Don’t leave home without a dependable snowbird travel insurance policy. Get yours today with ThinkInsure. Call toll-free 1-855-504-2039 or get a quote online.